Our friendly, helpful and caring team are committed to offering you and your beloved pet the highest quality care, treatment and advice. We understand that your pets are a huge part of the family and we are determined to provide the best care for them. We believe that prevention is better than cure and so we are dedicated to educating our clients and providing them with the tools and knowledge to apply preventative healthcare to their pets. Our team consists of many dedicated vets spread across all four sites. Having a large knowledgeable team who are passionate about your pets means we are able to offer a wide range of skills and experience. We aim to offer continuity of care with the vet of your choice so please ask for your preferred vet when booking your appointment. Our practice director together with both of our supervisory veterinary surgeons are keen to develop the practice and our team to ensure we can always offer the best care for your pets. After all, your pet is our priority. All four of our sites are RCVS accredited; our Watton and Thetford branches are our main sites and we are proud that they are accredited to Small Animal General Practice standards. At both main sites we are able to offer some of the latest advanced technology such as digital X-ray (including dental X-rays), ultrasound and dentistry. 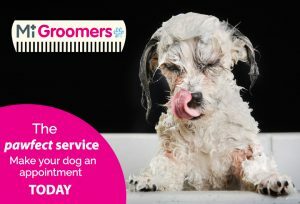 We also have a newly equipped dog grooming parlour to keep your pets looking neat and tidy and can also offer physiotherapy and chiropractic services which are proving to be hugely popular and beneficial.